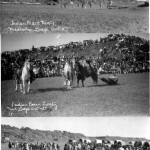 It was in 1917 that citizens of Medicine Lodge made the initial effort to commemorate the historical significance of the Treaty of Medicine Lodge, signed in 1867 by the Peace Commission of the United States Government and the five tribes of Plains Indians, the Kiowa, the Comanche, the Kiowa-Apache, the Arapaho and the Cheyenne. 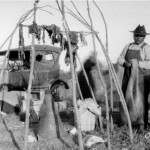 World War I delayed their progress, but in 1926, a citizens’ committee secured the services of Sergeant I-See-O, a Kiowa Indian, who was also an army sergeant. 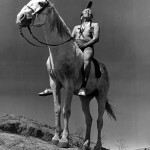 I-See-O, as a young boy, had attended the treaty signing in 1867 and his mission was to rediscover the site of the event. 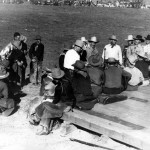 After much searching, and with the corroboration of the Kiowa records, Sergeant I-See-O declared the site to be at the confluence of Elm Creek and the Medicine River, south of the present city of Medicine Lodge. The citizens’ committee decided to commemorate the event with a historical pageant. 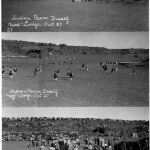 The colorful celebration was first presented in 1927, in the beautiful amphitheatre which covers a quarter section of Kansas prairie. 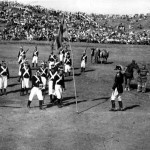 This arena was presented to the Peace Treaty Association by E. S. Rule of Wichita, a Barber County native. It was designated as the Memorial Peace Park. 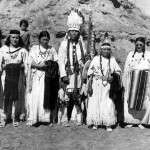 The original pageant was written and directed by Dr. F. L. Gilson of Emporia; the verses, some of which appear in the program, were composed by Miss Rachel Nixon of Medicine Lodge. 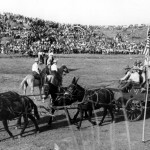 In the first pageant, Barber County farmers and ranchers brought their teams and wagons to town to reenact the event. 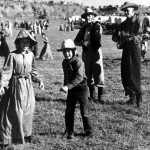 The cast of characters was made up of citizens of Medicine Lodge and the surrounding vicinity – as it still is today. 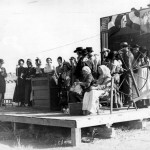 The first pageant went over so well that the committee voted in 1931 to do it again in 1932. 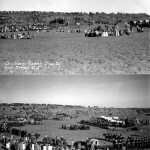 The pageant was held every five years (1941, 1947 during World War II) until 1961, the Kansas Centennial. 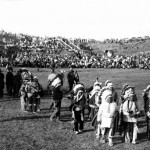 From 1961 to 2006, the pageant was held every three years. 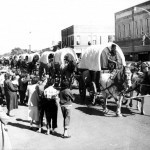 After the 2006 pageant, the event was moved to five years, 2011, for Kansas Sesquicentennial – 150 years of statehood! 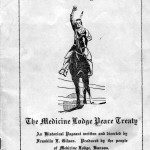 2015 will be the 25th presentation of the Medicine Lodge Peace Treaty reenactment! 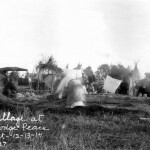 Learn more about the Peace Treaty history through video. 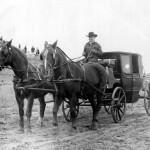 Learn more about Barber County history and genealogy. © 2019 Medicine Lodge Peace Treaty Association.